Subscribe to AusDI for only $295 (incl. GST) for a single user and $324.50 (incl. GST) for up to three users. Once subscribed, you will have full access to Product Search, Product Identifier, Interactions and Safety and over 80,000 pages of medicines information. Available on your desktop browser and iOS and Android mobile devices. Nothing to download – simply go to https://ausdi.hcn.com.au on your desktop or device browser once you have registered. Existing customers: click here to renew your subscription. IMgateway is now available as an additional module in AusDI. Enjoy convenient access to IMgateway from AusDI. Individuals can gain access to the integrated Don’t Rush to Crush module for an additional $214.50 (incl. GST) per subscription. Individuals can gain access to the integrated IMgateway module for an additional $135.30 (incl. GST) for single user, $220.00 (incl. GST) for 2 users or $280.50 (incl. GST) for 3-6 users. please subscribe here or call AusDI individual sales on 1300 118 120. 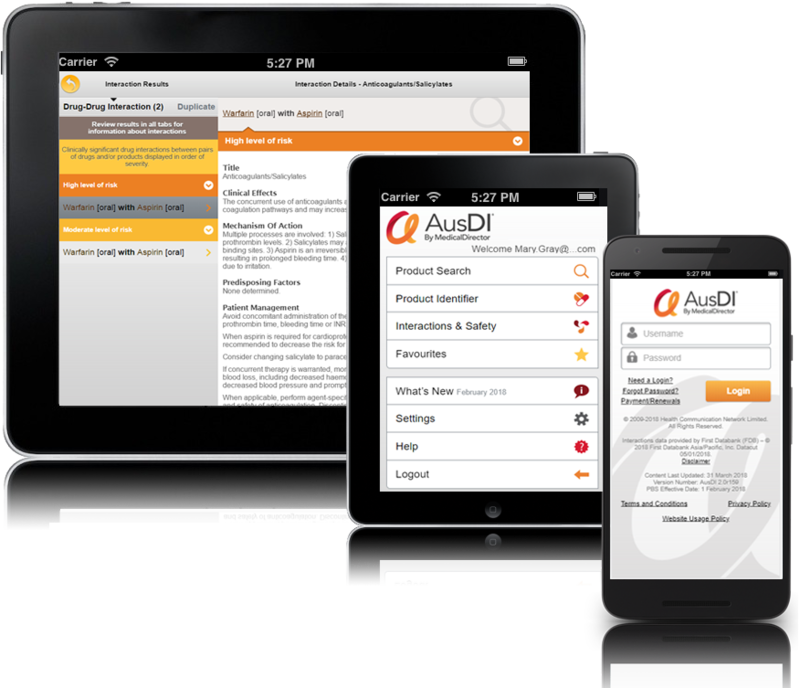 Institutional and corporate customers wishing to purchase AusDI or add Don’t Rush to Crush and/or IMgateway module(s) should contact the sales team on 1300 118 120 or email sales@ausdi.com.au for pricing information. Please provide information for all required fields below to complete the subscription registration.